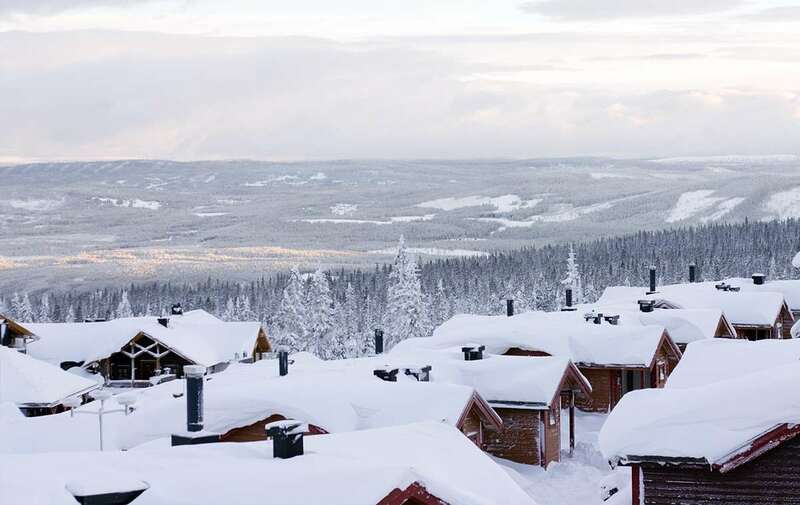 Previously voted “Norway’s Best Ski Hotel” at the World Ski Awards, the Radisson Blu Resort in Trysil boasts a quite wonderful position in the country’s largest ski resort. This inviting ski-in, ski-out establishment sits in the midst of 31 lifts, 65 slopes, and 100 kilometers of cross-country tracks and is both close to the lifts and where your transfer bus arrives direct from Oslo airport. The hotel offers a wide range of room types as well as excellent facilities to ensure a comfortable and memorable stay in one of Scandinavia's most popular ski destinations. There are no shortage of activities to keep you occupied, both on and off the mountain. There is an option of booking either on a B&B basis or half-board. The standard package includes a very generous buffet breakfast every morning and the flexibility of taking evening meals wherever you like; Trysil does have a decent choice when it comes to dining out. Alternatively, you can upgrade to include dinner at the hotel, which is typically a 3-course menu in one of the hotel's restaurants offering Scandinavian and international dishes. Light meals and American fare can be found at Chill Bowl & Dine, which also includes a bowling alley. There are 210 varying rooms and suites at the Radisson Blu. Deluxe rooms are a great size and have either a king-size or twin beds, ensuite bathroom with WC, flat screen TV, free Wi-Fi, safe and heated closets for your ski gear. Further facilities include a lobby bar with a magnificent open fire, and a pool bar where drinks and snacks can be consumed. Guests also benefit from modern fitness and spa facilities, where you'll find a Finnish sauna and Turkish baths. Beauty treatments and massages are available on the spot and paid directly to the hotel. Heated closets for ski gear. All rooms feature ensuite bathroom with WC, flat screen TV, free Wi-Fi, safe and heated closets for your ski gear. Transfers may be a scheduled service. Resort bus departs 4 times a day 11:15, 16:45, 19:45 and 21:45 and takes you to the hotel.